Click Here To See MATTED Cover Painting! 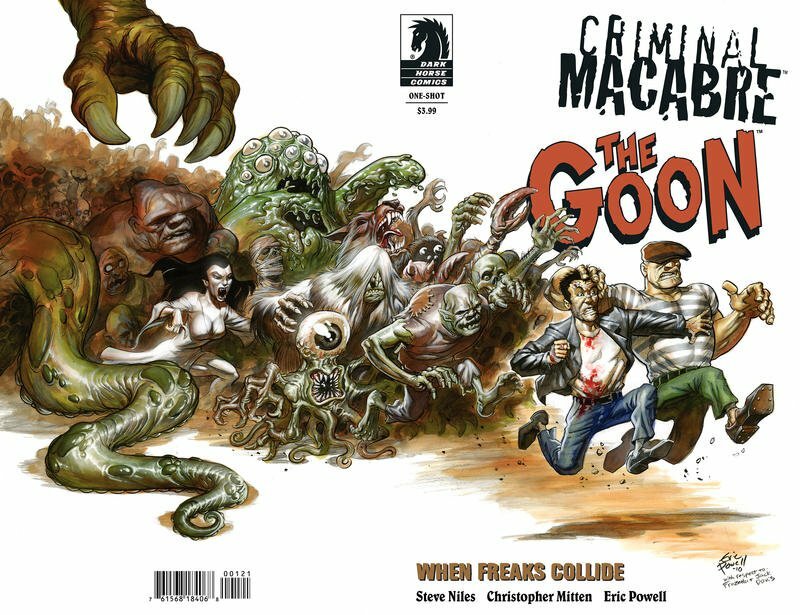 Click Here To See The Goon: When Freaks Collide #1 Comic Book! 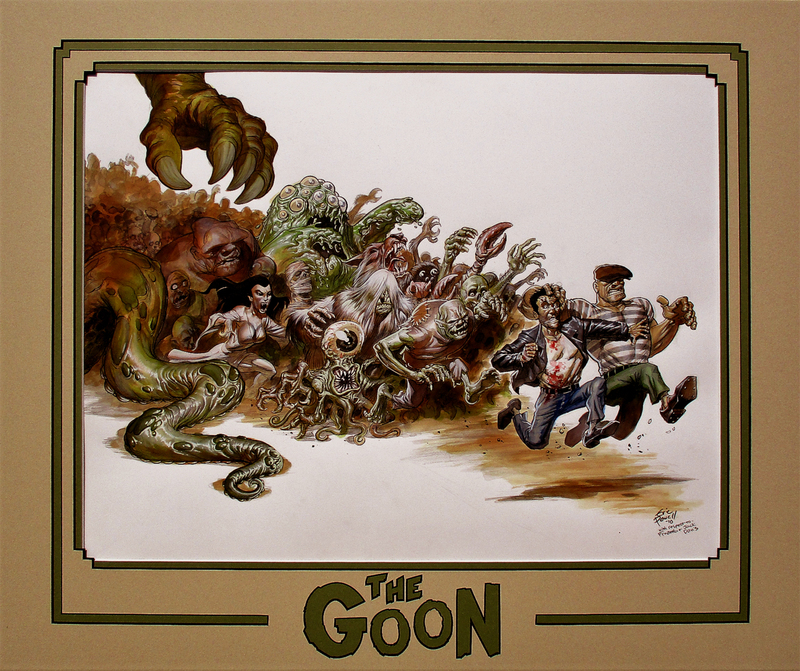 Check out this AWESOME WRAPAROUND "GOON" HORROR COVER Painting which was created ENTIRELY by the great ERIC POWELL! This sweet cover painting features Eric Powell's homage to Frank Frazetta and Jack Davis. 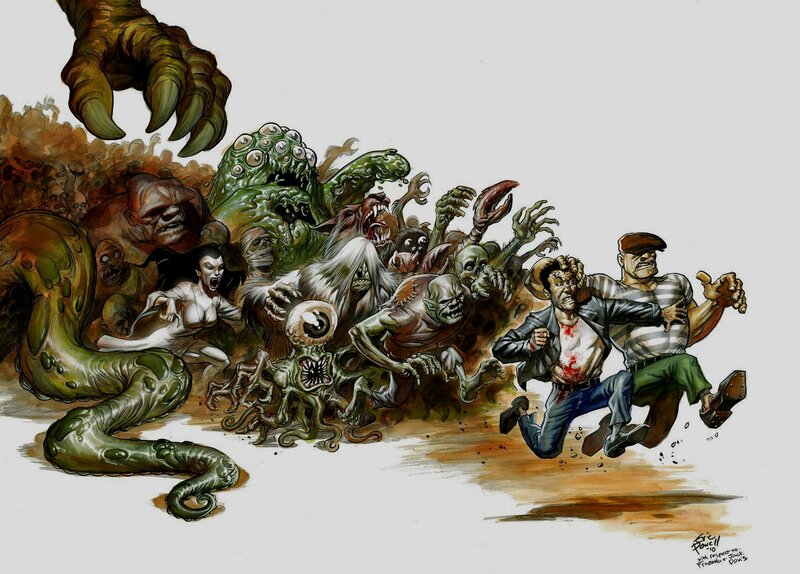 A multitude of creepy crawlers and freaky fiends pursuing the defender and local hero of Easy Street! Cover painted on 1 large 22 by 17 inch art board, and is signed at the bottom by Powell "with respect to Frank Frazetta and Jack Davis!" Just a great opportunity here to own a NICE painting by the "ONLY GOON" artist! Art comes with a GREAT super detailed DOUBLE MAT which can be seen in the extra red link above. Compare this nice painting to the published comic book in the red link above! ALL art on our website (including this one) are able to be purchased with VERY fair time payments, and trades are always considered towards "ANY" art on our website! Just send us an email to mikeburkey@aol.com and we can try to work something out.